Silentnight Warm & Cosy Pillow Pair is rated 4.1 out of 5 by 8. 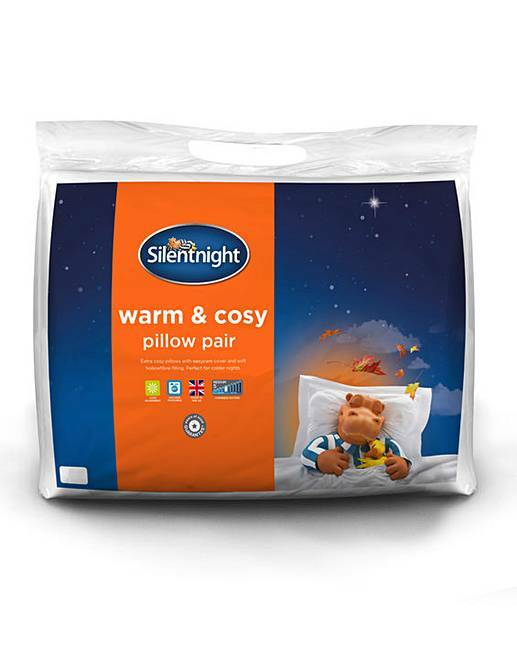 Stay cosy with Silentnight. 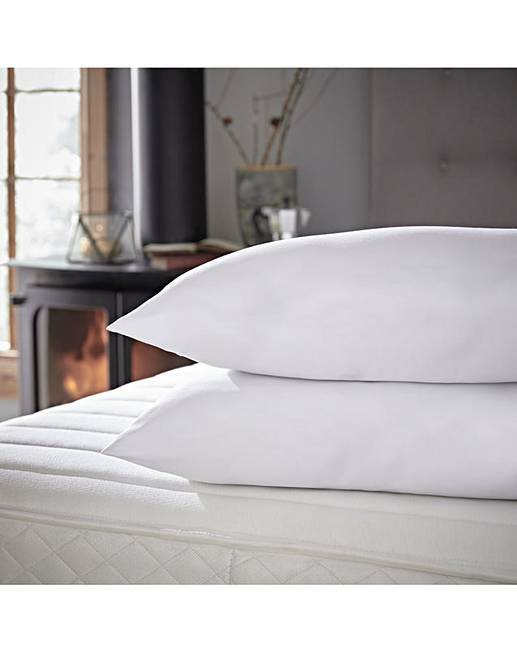 Helping to keep you comfy during colder months, the Warm and Cosy Pillow Pair is filled with hollowfibre and covered in super snuggly microfibre to ensure you have a great night's sleep. Rated 2 out of 5 by Nevaeh from Ok pillows I brought these a while ago, they don't wash up well. I found they misshapen and my husband hated them. I have to say they did for a stand in for the children till I brought more. Rated 1 out of 5 by Jackiebcfc from Dreadful pillow!! Ive had many many pillows as i have scoliosis. This must be the absolute worst one ive ever tried. They felt great,fluffy and soft. As soon as i put my head on it....they went completly flat to the mattress! Absolutely dreadful. Very very sof(flat) if youre looking for a very soft flat topper for your head part of the mattress....this is it! Mine are going straight back. Rated 5 out of 5 by Becky81 from Very comfortable I'm glad i brought these so comfortable and good quality for price. Rated 5 out of 5 by Pat from Silent night Warm 8 Cosy Pillow Pait I did buy one like this before and returned it!! It is a great quilt, but I find it too heavy for me, only my opinion...it is wonderful and warm, but I have reverted back to my old one and put this one in my spare bed..